'I don't think it's right,' the future royal declares in a recently unearthed video from a Nickelodeon news program. Long before she got engaged to Prince Harry, Meghan Markle spoke passionately for women’s rights. Now there’s proof showing her feminist streak started as early as grade school. A recently unearthed video clip from a 1993 Nickelodeon news program focused on an 11-year-old Markle and her successful fight against sexist advertising. 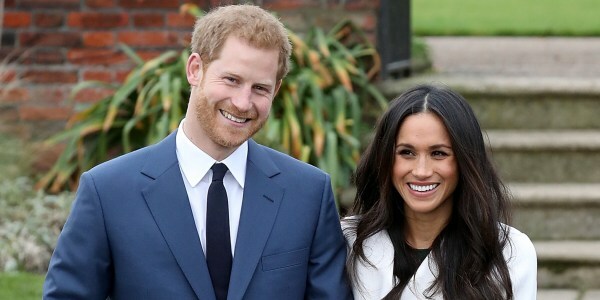 It resulted from a social studies assignment that had Markle and her California classmates watching television commercials and assessing potentially implicit messages they sent. That's when the future royal’s advocacy spirit kicked in. Markle noticed how one ad for a dishwashing detergent implied that women do all the cleaning. The young Markle complained about what she saw in a letter she penned to Proctor & Gamble, which responded by changing a crucial line in the ad. Rather than asserting that "women are fighting greasy pots and pans," it changed the voice-over to declare that "people" were taking up the battle instead. Years later, Markle would make a reference to that small but mighty victory in a 2015 speech before a U.N. Womens’ conference. “At the age of 11, I had created my small level of impact by standing up for equality,” she said. These days, Markle, now 36, has a much bigger stage from which to speak. Until recently, the actress was best known for her role on the USA legal drama, “Suits," but also was an active humanitarian who fought for gender equality and women's health in developing nations. But that was before she snagged one of the most eligible bachelors on the planet. Markle's engagement to Harry, announced just this week, now means she has the attention of the world. On Friday, she accompanied her 33-year-old famous fiancé on their first official joint event to promote issues close to Harry's heart: HIV/AIDS awareness and preventing crime among youth. The prince and Markle plan to get married next May inside St. George’s Chapel, located on the grounds of Queen Elizabeth’s Windsor Castle.